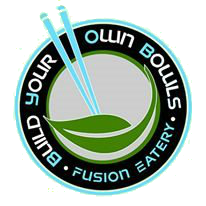 Build Your Own Bowls is THE place for fresh, delicious and healthy food! We are a progressive, Millennial-centered Quick Service Restaurant. BYO Bowls, pronounced Bio-Bowls is a modern, eatery that provides guests the ultimate in custom made healthy dining. Byo (Bio) Bowls means involving life or living organisms: biogenesis, biolysis. Byo Bowls will be an integral part of its customers. The driving philosophy behind BYO Bowls is to allow the customer, with some coaching, to build their own bowls and to take control over exactly what is put in their meals. Complete transparency is what BYO Bowl’s customers can count on. Complete transparency is what BYO Bowl’s customers can count on. This is what we're doing to support our local communities. B. Hosting, Sponsoring and being an integral member of our local scene is paramount for BYOB. Wooded Lands, Beach cleanups relative to Surfrider Foundation events, Ocean invasive algae cleanups, recycling, sustainability events to promote the cause, Youth education as it relates to Health and wellbeing and stewardship of the land, and being a charter member of World Charter Hawaii.